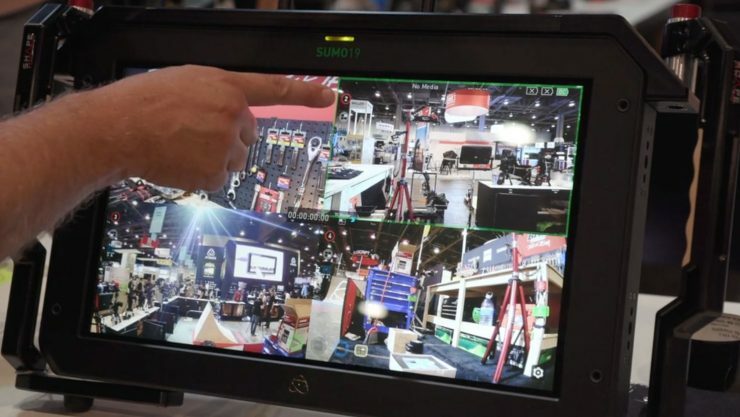 We caught up with Atomos founder and CEO Jeromy Young at the NAB show to chat about a few different topics. Mainly the new Shogun 7 and its backlight advantages over the Shogun Inferno. 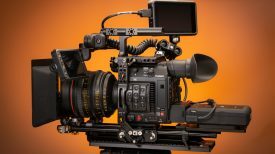 Live switching and recording options plus the SDI module for the Ninja V. Let’s start with the Shogun 7. The LCD panel is the same as the Shogun Inferno but with the new 360 zone backlight that allows for the Dynamic AtomHDR engine to show millions of shades of brightness, with a claimed 15+ stops of real dynamic range on-screen. The display is also claimed to display ultra-wide color gamut and 105% of DCI-P3. To really see the advantages of the backlight the monitor does need to be in a darker environment to make the shadow detail more noticeable. 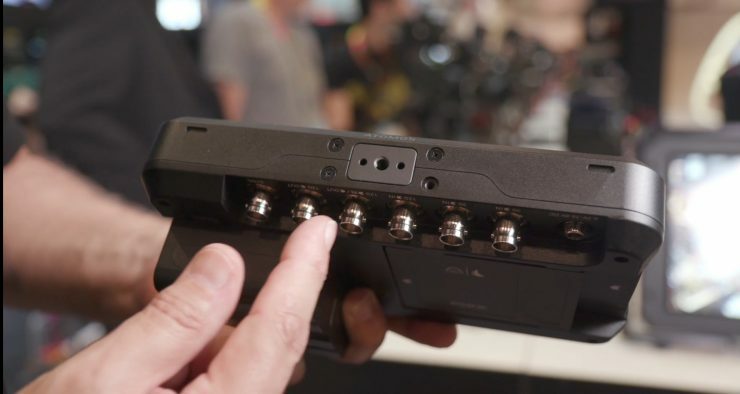 It’s also great to see Atomos add the Arri accessory mount to the Shogun 7 as it’s a much better mounting system. Say goodbye to twisting and say hello to worry-free mount. Those two little holes make the mount much more stable and less prone to twisting. Some good news is the Shogun 7 will be able to record two streams or cameras at the same time and keep the clips in separate folders for easier editing. Unfortunately, I wasn’t able to demo the switching capabilities yet as the feature wasn’t ready to show. This will be a nice all in one media recording option on a fast SSD that you can plug in a start editing a multicam sequecne from. I asked Jeromy about the line of recorders they have as it’s pretty sizeable. To date, Atomos has ten monitor recorders including the Shinobi monitor. 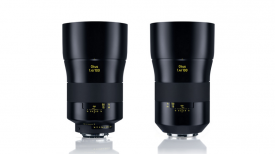 Jeromy stated they want to get to a place where they have one 5″ and one 7″. That goal might be tough as options have to taken away to keep a product affordable for users with tighter budgets. SUMO users have been waiting patiently for live switching and it’s coming this summer. 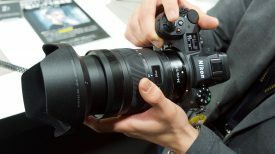 The interface looks easy to use and is responsive to the touch when switching cameras. We did get to see the SUMO with the new switching feature working and I was told it will look and work very similarly. 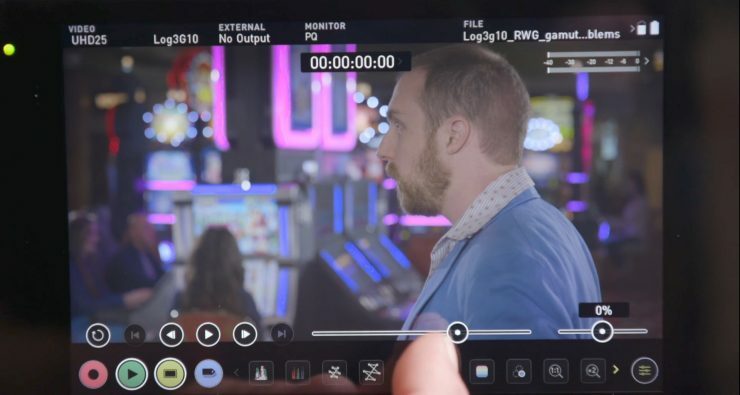 I personally like the new AtomOS 10 a lot. I can get to the tools I like faster. I asked Jeromy if the older products in the lineup will get the new OS and he said that at the moment it won’t be happening – however if customers really want it he would consider it. So if that’s something you’d like to see, let Atomos know.